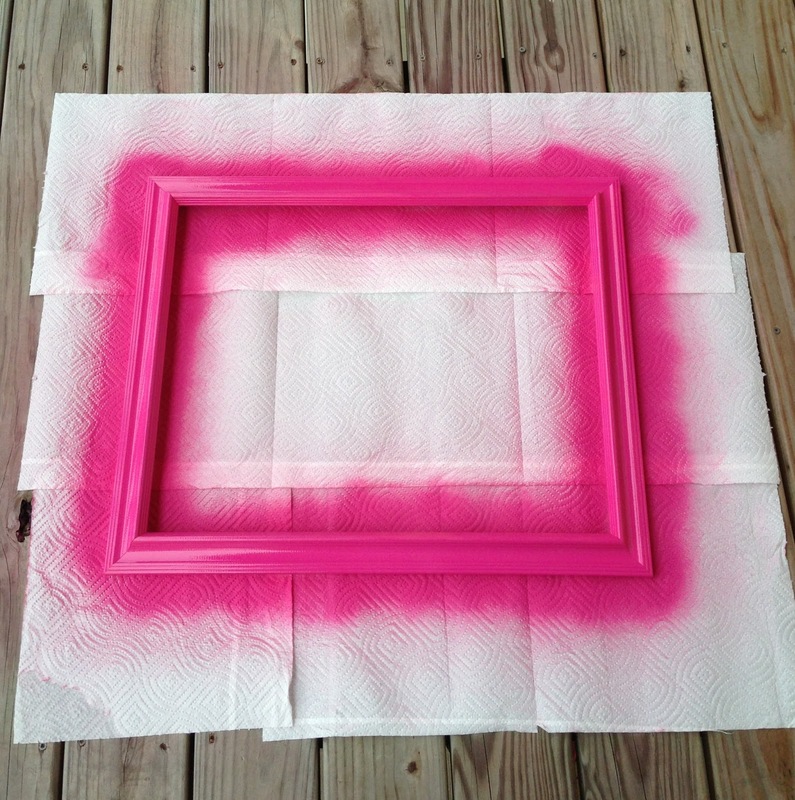 When I first started blogging, I briefly mentioned my bow frame here. 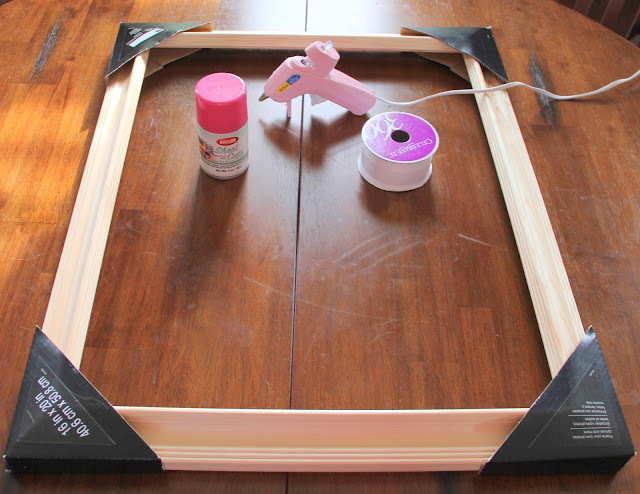 However, today I am going to show you how to make said bow frame so you too can create one for you (or your little one's) bows. In this case, I am making a second one to hang in the nursery, because let's face it, I'm not ready to share my bows. I think it's best she has her own set. Frame - I got mine at Michael's but any frame will do. First, I needed to get my frame the color I wanted so I chose to spray paint it hot pink to go with the nursery. Once it is good and dry, begin measuring out the ribbon to go from top to bottom. 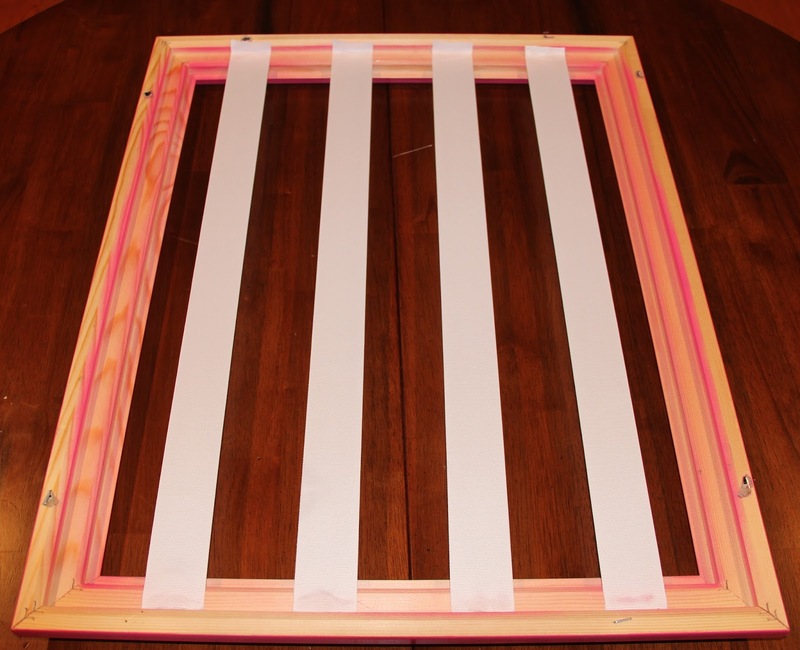 You want a little extra at each end so it overlaps onto the frame to make it good and stable. You can always trim it later. 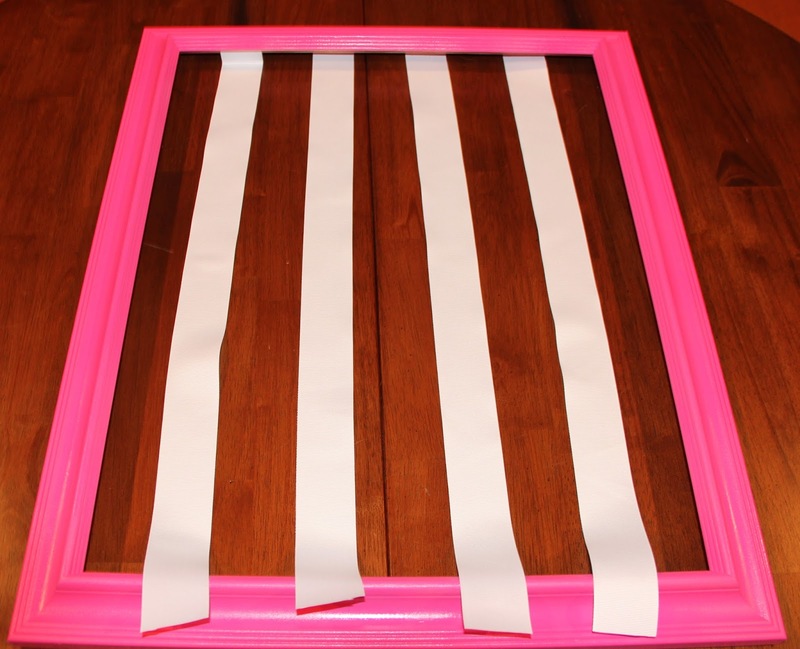 Lastly, you just need to glue the tops and bottoms of your ribbon strips where you want them (I did four strips going across), and you are done! SO cute!! you can bet that if baby stillman is a girl that i will be making one of these! What color spray paint is that?